The TVS Radeon was unveiled on 23rd August, 2018. The 110 cc commuter bike is up against the likes of Bajaj Platina, Splendor and the Hero HF Deluxe. Here are some features that set the Radeon apart from its competition. The TVS Radeon gets a full metal body which is built around a strong steel, tubular chassis. The steel chassis is particularly impressive in appearance and will handle bad roads like a boss. The chassis has been designed to aid the good handling characteristics of the bike, and special emphasis has apparently been laid on durability, and ruggedness of the setup. The bike comes with a 109.7 cc single cylinder engine. It makes a decent 8.4 PS of power @ 7000 rpm and 8.7 Nm of torque @5000 rpm. TVS claim that the Radeon is claimed to return a real world efficiency of 70 kilometers for a litre of petrol. These are not ARAI figures but rralistic numbers, which makes the bike much more promising from a mileace perspective. 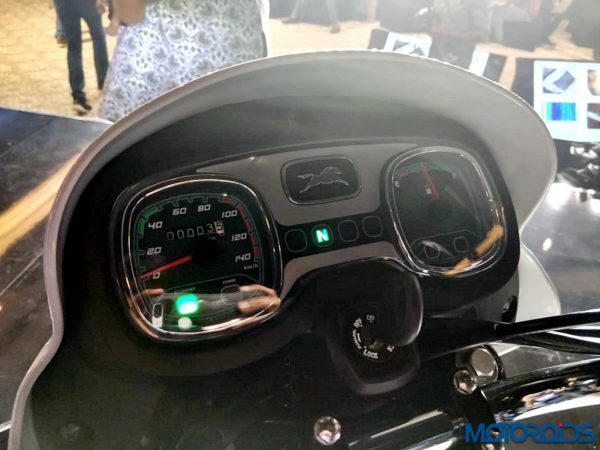 The instrument cluster of the bike has two dials which are surrounded by a chrome strip. The dials appear to be straight out of a car and add to the neat appearance of the bike. It also gets a side stand warning. TVS installed what they call a Synchronised Braking system (SBS) which applies both brakes when the rear brake pedal is pushed. Honda features a similar “Combi Brake” system, but only on their scooters. This technology helps to reduce braking distances and offers more safety. The seat is wrapped in a nice material and given a nice retro theme style. The seat not only looks and feel good, it is the longest and widest seat in its segment. TVS also claim the padding of the seat to be class leading. The bike is equipped with huge 18 inch alloy wheels. The large wheels help giving the Radeon a segment leading 180 mm of ground clearance. 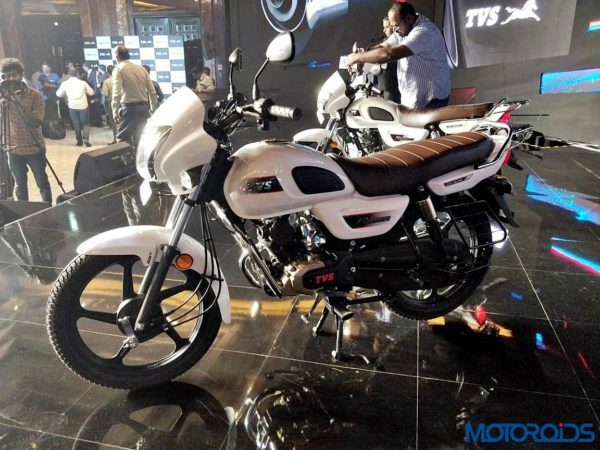 TVS claim the bike to be designed in such a way that the handling remains unaffected. Apart from all the features mentioned above, the bike comes with a 5 year warranty for a complete peace of mind. Also Read: Is The TVS iQube Hybrid Scooter Heading To Production? Priced at INR 48,400 (Ex-Showroom, Delhi) the TVS Radeon is a promising product. The aggressive tank pads and the chrome treatment given and great quality switches and buttons also do set them apart from the competition design wise. If you are looking out for a 110 cc commuter, the Radeon is hands down worth a shot. Below is a detailed walk around video of the bike.